3/50 Project Adds Up To Brilliant Idea WE Can Put To Work, NOW! 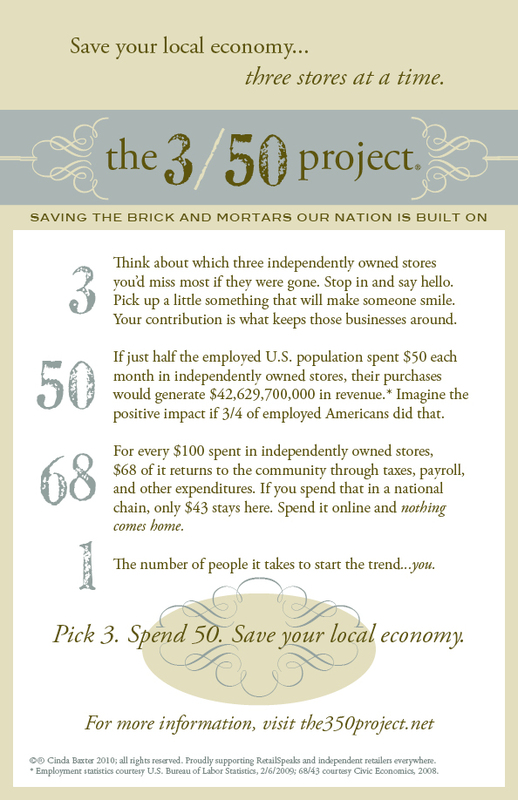 We encourage everyone to check out the 3/50 Project website to learn more on how we all can help! Brilliant idea Cinda! Why Settle for a Bland Diet When You Can Have a “BAND” Diet at Denny’s?